With isCOBOL it's possible to encrypt an indexed file. It's possible to mix encrypted file with non encrypted files, as needed. Below you can find the instructions to activate encryption for each file system. To activate encryption on a file when using JISAM, you need to add the "with encryption" clause to the SELECT statement of the file, after the "organization" clause. select FILE1 assign to "IndexedFile"
The configuration property must be set to a value different from spaces, otherwise a file mismatch error is raised. The encryption key can be up to 16 characters long. The Blowfish algorithm is used to encrypt data. If an encrypted file is opened for input or i-o with the wrong encryption key, then a file corrupt error is raised. If the encryption key is not set in the configuration, opening an encrypted file produces a 9X status. To encrypt an existing file, the file must be converted. 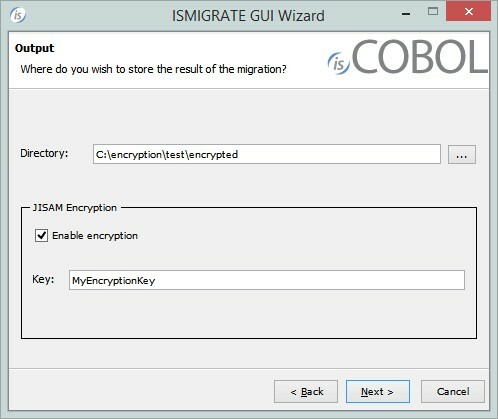 The simplest way to encrypt a file is using the ISMIGRATE utility. Select the destination folder and make sure the "Enable encryption" check-box is set and specify the encryption key, which must be the same value in the configuration property iscobol.file.encryption.key. Follow the wizard steps. Now you have the encrypted version of the file. When using utilities that access an encrypted indexed file, the encryption key must be passed either in the command line, where supported, or in the configuration file. C-ctree can handle encryption without any code change, but just needs configuration changes. iscobol configuration file or ctree-conf configuration file can be used to control encryption settings. 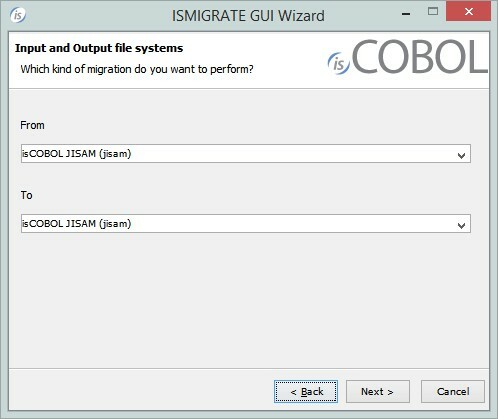 The isCOBOL configuration is only used by cobol programs or isCOBOL utilities, while the ctree-conf configuration file is used by isCOBOL programs and the c-tree utilities. With this property every file is encrypted. The value must reflect the number of instances created by c-tree. In this case it is 2 because there is the default instance (instance 0) and the encrypted instance (instance 1). Is the definition of instance 1 (encrypted instance), the server can be the same as the default instance. The settings of instance 0 (default instance) is omitted in this sample since the defaults are used. To encrypt an existing file, the file must be converted. 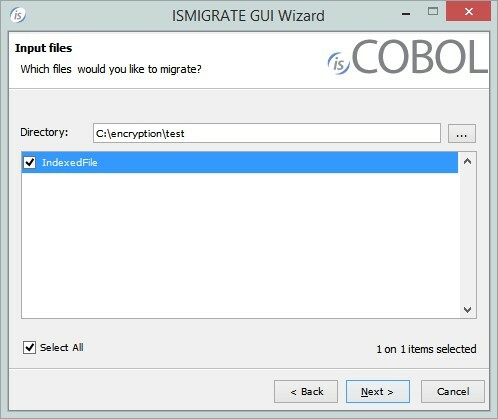 The simplest way to encrypt a file is using the command line version of the ISMIGRATE utility.